Godfather of PowWowStep, DJ/producer Shub continues to pioneer a growing genre of electronic music. 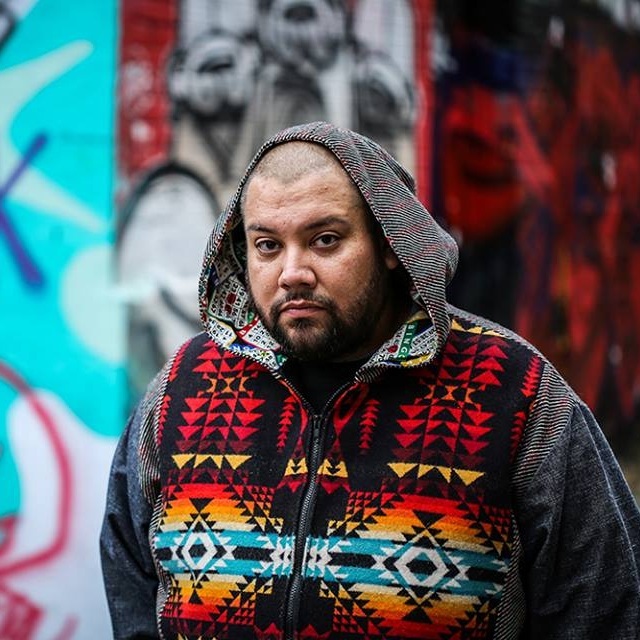 Born Dan General, Shub began his career with the nationally acclaimed electronic music trio A Tribe Called Red. Since then, he’s been performing across North America with some of the biggest recording artists in today’s industry and taken home a Juno Award (2014). Shub is a Mohawk of the Six Nations reserve located in Ontario, Canada. Since the inception of PowWowStep, Shub has grown more aware of the Indigenous way of life through his music, merging his heritage with his craft. Growing up, Shub was influenced by the music his family listened to. His mom was into disco and his dad was all about classic rock. The biggest impact on him was made by his older brother, who introduced him to the world of hip-hop and the DJ culture. Before solidifying his seat at the top of the PowWowStep world, Shub also turned heads in DJ competitions like the prestigious DMC World DJ Championships, by winning back-to-back titles and representing Canada at the world finals in 2007 and 2008. In 2012, Shub won the Canadian title in the Red Bull Thre3style DJ Competition, and once again represented his home country by placing fifth at the world finals. In 2017, his music video for “Indomitable,” featuring the Northern Cree Singers, was also nominated for a Much Music Video Award. Shub continues to push the boundaries of electronic music – with a full schedule of new releases and live performances across the country.